Louis Wintle, b 1903 d 1994 and Ada May Elvey, b 1906 d 1982, married at Cupertino, California on 15 June 1938. Ada was the daughter of Joseph and Mary Elvey of California USA. Louis received the MBE in the Queen's Birthday Honours List 1984 for services to the preservation of local history. His investiture was in March 1985. 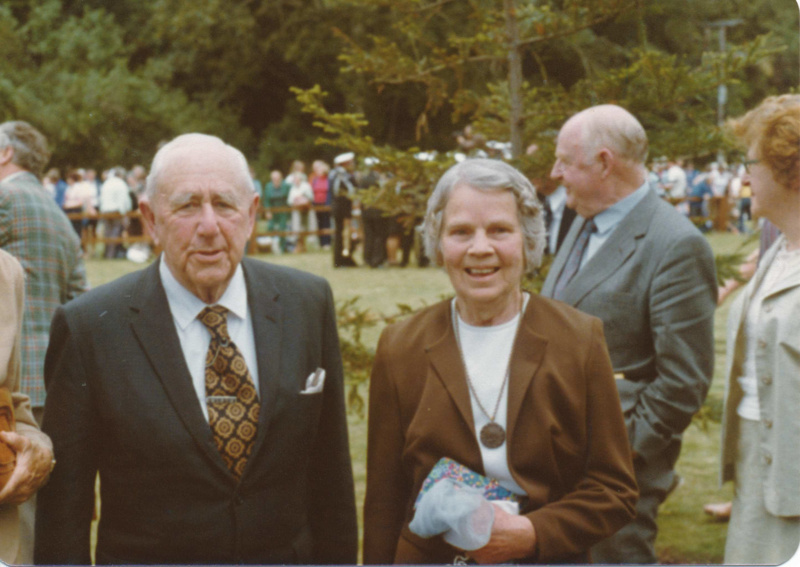 The Wintle Collection was gifted by Louis and Ada May Wintle in 1979, to the Hauraki Gulf Maritime Park Board during the restoration project of Mansion House, Kawau Island. The Park Board was disestablished in 1991 following a period of radical reform of NZ Government Departments and ownership of the collection was assumed by the Department of Conservation. In 1881, Mr Wintle's grandmother, Mrs Adelaide Reade, inherited a notable house (Belle Vue) in St Peter Port Guernsey, the contents of which she brought to Auckland where she and her husband had already settled. All these things were eventually divided between Louis and his sister (Rua) and it is his share which now furnishes much of Mansion House. This includes fine furniture, paintings and engravings, porcelain and glass, a handsome chandelier, and ornaments of many kinds. They belong to the late Georgian and early Victorian period (1820-1860), the period leading up to Sir George Grey's occupation of Kawau. Louis Wintle died in 1994, predeceased by his wife. His Will left the residue of his estate, about $80,000, in trust for the care and maintenance of the contents of Mansion House. The Louis Wintle Charitable Trust was established in 1995. Louis was the son of Walter Joseph Wintle b 1866 d 1969 and Agnes Ellen (known as Florrie) Wintle nee Reade b 1878 d 1955. Louis and Ada May lived at 'Wintlelea' Tara Road, Mangawhai.